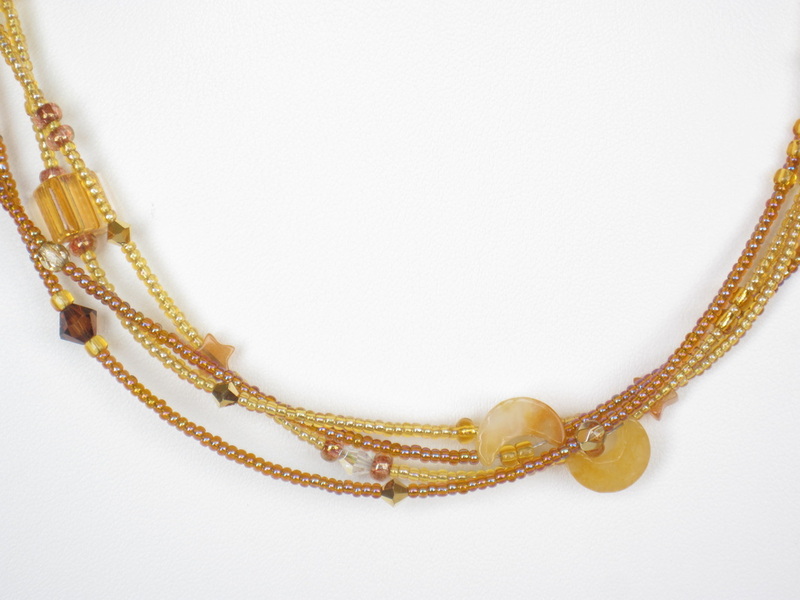 Dawn pours into the sky like molten honey. The bright sun rises above the horizon as the moon and stars fade. 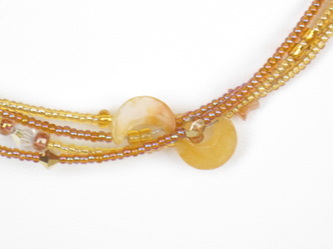 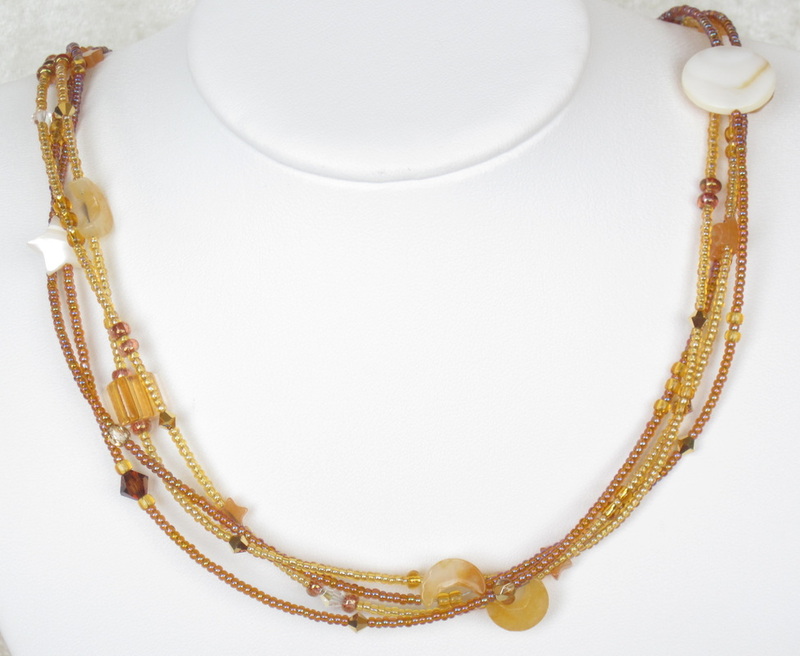 Four strands of seed beads are lavishly embellished with Austrian crystal, yellow aventurine and mother of pearl. 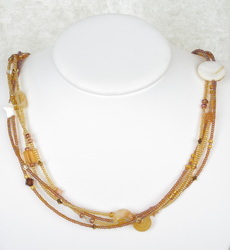 Golden Sunrise is 26" long and fastens with a toggle clasp. 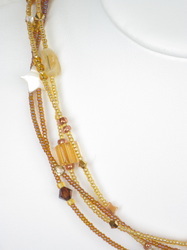 Warm up any outfit!